The University of Tennessee Medical Center is participating in a clinical trial aimed at saving the lives of trauma patients who have uncontrolled bleeding. The treatment involves administering plasma, which has clotting capabilities, to patients while they are aboard UT LIFESTAR helicopters. This is a standard process of care, but it typically occurs several minutes later, once the patient arrives at the trauma center. Giving plasma to patients quicker has resulted in improved survival rates in previous trials of injured soldiers in combat zones, such as Afghanistan. This study will bring the battlefield tested process to the East Tennessee community. 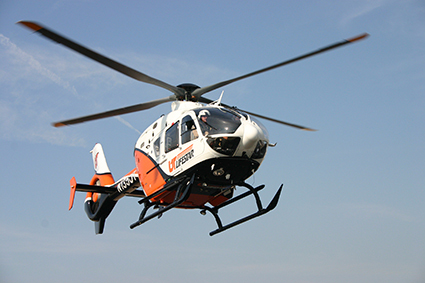 "We utilize UT LIFESTAR as an integral extension of the Trauma Center at The University of Tennessee Medical Center," said Brian J. Daley, MD, Professor of Surgery and Trauma Medical Director and the principal investigator for the study. "On the helicopters we carry lifesaving resuscitation techniques proven on the battlefield and in our domestic Trauma Centers to the patient rather than simply having the aircraft serve as a transport mechanism for our patients. This study enables us to see if the known benefits of plasma treatment, normally delivered in the Emergency Department, are improved by delivering it at the earliest possible moment by our flight nurses and paramedics." Significant blood loss can lead to multiple organ failure and is a leading cause of death among trauma patients. The study, known as the Pre-hospital Air Medical Plasma Trial (PAMPer), will be conducted at six trauma centers throughout the nation. It is sponsored by the U.S. Department of Defense, the University of Pittsburgh and the University of Pittsburgh Medical Center. UT LIFESTAR medical helicopters are already stocked with red blood cells for in-flight transfusion, but plasma has not been available on the aircraft previously. Severe trauma patients are generally unable to give consent to participate in a study of this nature. According to Dr. Daley, this is believed to be the first community consent study conducted in the Knoxville region, meaning the plasma can be administered for lifesaving purposes without specific consent from trauma patients. Any member of the community not wanting to receive plasma or take part in the study can opt out of inclusion. For more information or to opt out, visit http://pamperstudy.com or contact Meghan Buck toll free at 855-730-8140 or by email at buckml@upmc.edu. 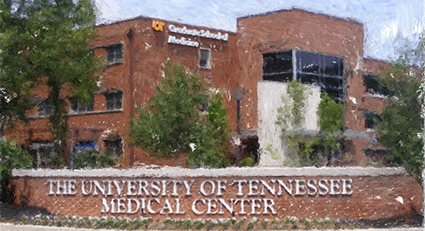 An inaugural University of Tennessee Graduate School of Medicine Alumni Reunion will be held in Knoxville, Tennessee, April 25-26. The weekend will feature special guest speakers UT football coach Butch Jones and UT president Joe DiPietro as well as a CME-certified activity and social events. Visit the Alumni Reunion event page to see a full agenda, accommodations information and to register.